Luciana Diniz is the daughter of polo player Arnaldo Diniz and dressage star Lica Diniz, who is recognized in the Guinness Book of World Records for eight consecutive wins in the Brazilian National Dressage Championships. Luciana, originally from Brazil, began horse riding at her parent’s farm as a child. Now with a showjumping career full of accolades, Luciana says that her mother and father remain her biggest influence to this day. 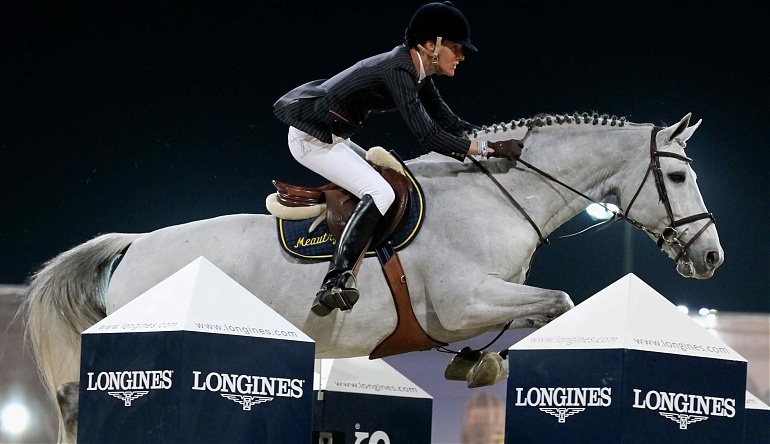 Luciana counts a victory in the 1998 Aachen Grand Prix with Dover and coming 2nd in the 2011 LGCT Estoril Grand Prix with Winningmood among the most memorable moments in her career. Other highlights include her move to the Portuguese team in 2006 and a finish of 5th place in the 2011 Global Champions Tour rankings. She describes GCT as ‘the best tour in the world.’ Her advice to other riders is to ‘follow your dreams and never give up’.